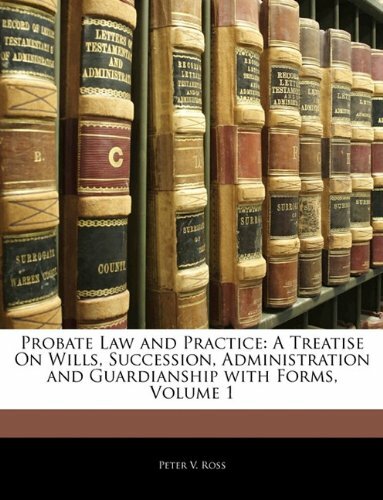 A Family Guide to Wills, Funerals & Probate is an essential guide for someone planning an estate or for a family confronted with legal and financial issues in the wake of a death. 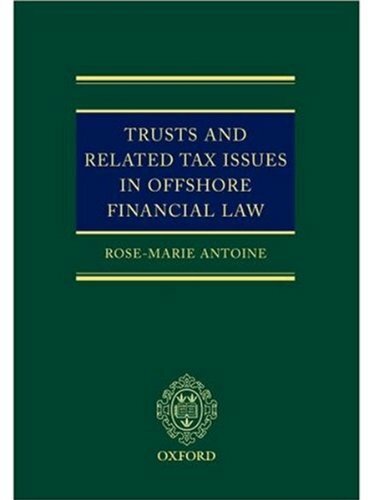 It explains wills and how they function, how to plan for probate and death taxes, planning for arrangements and negotiating with funeral directors, settling assets and closing the estate, and much more. I'm glad I read this introductory book on the topic of estate planning "and more." I found it in the reference section of the Westfield Pubic Library (NJ) along with its companion book: The Executor's Handbook (ISBN: 0816044260). 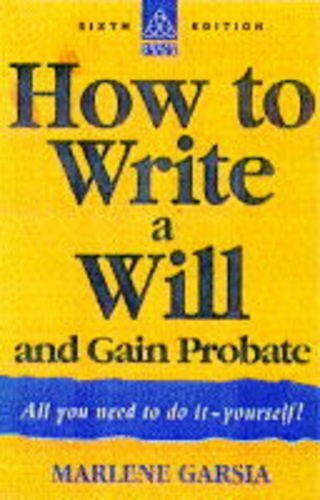 This book was written for a person who should write a will, and the companion book is written for someone who performs the work of an executor pursuant to a will. The edition of the book I read was hardbound and very pretty. There was an index of terms in the back of the book. However, I would have liked it better if there had been a glossary of terms back there, too. Don't worry that the book doesn't have your state in its title. It is written so it is applicable to residents in all 50 states. Most, if not all, the books I've read on estate planning are written for people with lots of assets. Larger estates usually required some "fancy footwork" in order to minimize estate taxes, and that fancy footwork is what estate planning authors typically describe in their books. This book is different. It is written for the little guy who needs to do some "estate planning" so his or her death does not create a hassle for his loved ones - and so his or her estate hopefully is not eaten up by legal and other fees. The book also covers some issues about planning so a small estate is not eaten alive by medical and nursing home expenses. 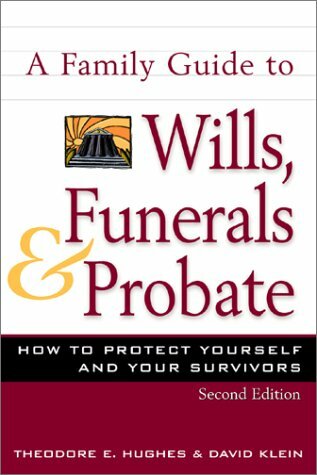 Interestingly, most estate planning books don't cover funerals and planning them, but this one does. A very nice touch. I think this book is something a person doing a simple job of planning for his death should read. 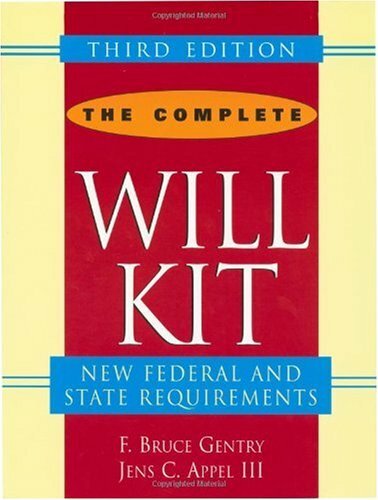 Most books on this subject have "estate planning" in their title. 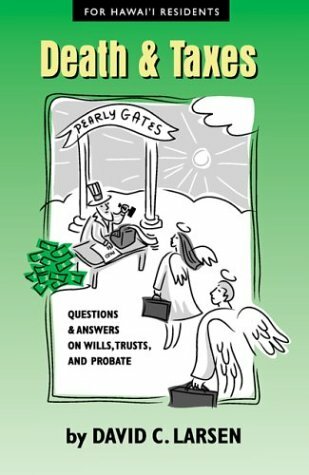 The title to this book is different from most estate planning books because it's not about estate planning techniques per se, but instead is about why and how to do basic planning for the time when death arrives. 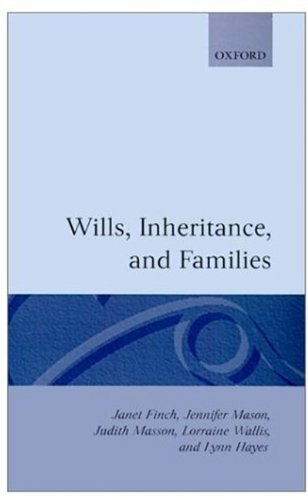 I recommend that anyone who wants to learn about estate planning and to consult an attorney for estate planning advice read this book first. It will be time well spent. I was very happy with my purchase. It came in the condition as promised and sooner than expected. I would definitely purchase again from this seller. Thanks! The law of succession rests on a single brute fact: you can't take it with you. The stock of wealth that turns over as people die is staggeringly large. In the United States alone, some $41 trillion will pass from the dead to the living in the first half of the 21st century. But the social impact of inheritance is more than a matter of money; it is also a matter of what money buys and brings about. Law and custom allow people many ways to pass on their property. As Friedman's enlightening social history reveals, a decline in formal rules, the ascendancy of will substitutes over classic wills, social changes like the rise of the family of affection, changing ideas of acceptable heirs, and the potential disappearance of the estate tax all play a large role in the balance of wealth. 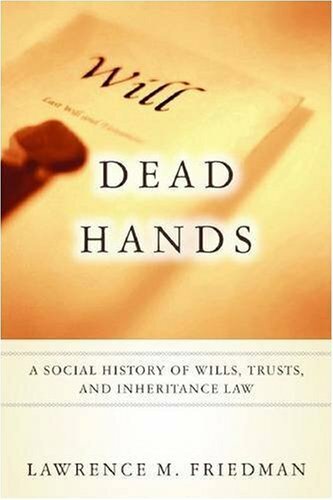 Dead Hands uncovers the tremendous social and legal importance of this rite of passage, and how it reflects changing values and priorities in American families and society. Several times while I was reading this book, friends intrigued by the title asked me what it was about. "Yes," I said, "it sounds like a novel, and it actually reads that well too." 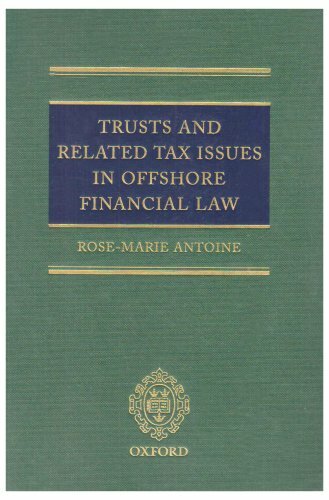 Are you "at sea" when it comes to wills, trusts, probate, taxes? You are not alone. For the past ten years, lawyer and Honolulu Advertiser columnist David Larsen has provided sound answers and advice to thousands of people asking such questions as: "What happens if I die without a will?" "Does the State take it all?" 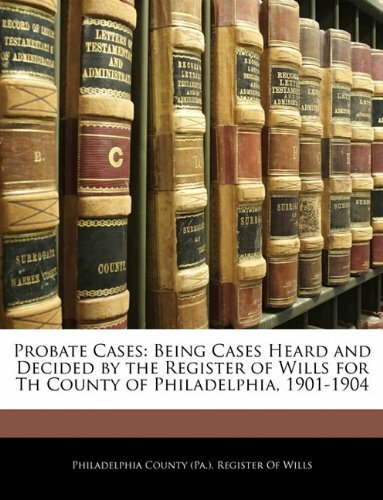 "How can I avoid probate?" "Will the State pay for my stay at a nursing home?" "Will my kids have to sell the house to pay the inheritance tax?" Think what would happen if the breadwinner(s) in your family died suddenly. How well has the family's well-being and financial security been provided for? How much has been left to chance? 20 Questions to Ask about Wills & Estates will help you and your loved ones expect — and plan for — the unexpected. 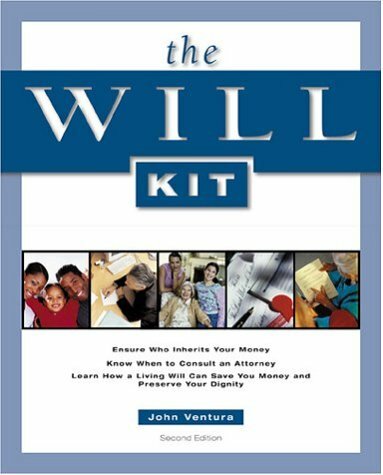 Learn how to use Will and estate planning to preserve and pass on wealth to loved ones, to make the most of insurance and retirement benefits, to minimize taxes and to promote family welfare and harmony. 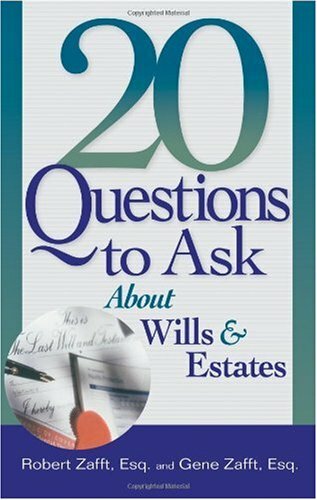 •	How do I avoid being kept alive artificially — or prevent having treatment stopped — if I become in capacitated?•	What are the best ways to avoid probate court tying up your property?•	How much/little can I leave my spouse?•	When is it fair to treat my children unequally?•	When do I need to worry about federal estate taxes? 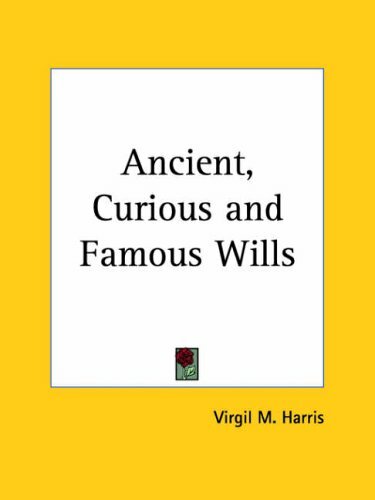 A MUST READ for those contemplating to set up wills and estates and for those who have already completed theirs. It is written so that the average person is not bogged down by legalese. The authors backgrounds are outstanding so you know you are reading something with merit. It really gives you a clear picture about end of life and Will issues. What I liked most about the book is the manner it which it is written: on one hand it is very easy to read, unencumbered by excessive technical language, on the other hand, tons of relevant information is squeezed in. 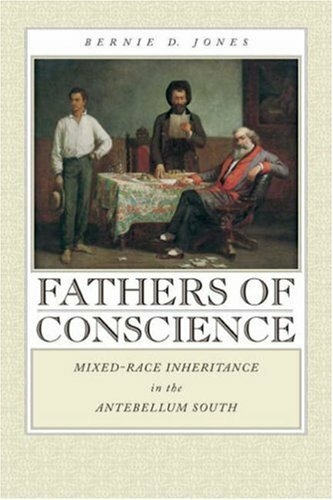 Eileen Spring presents a fresh interpretation of the history of inheritance among the English gentry and aristocracy. 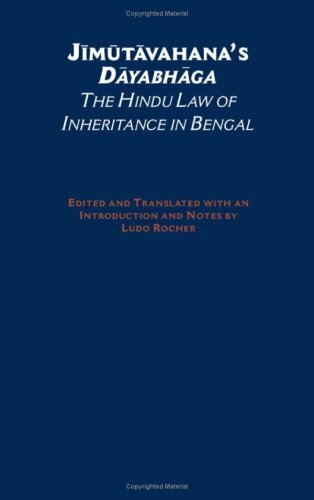 In a work that recasts both the history of real property law and the history of the family, she finds that one of the principal and determinative features of upper-class real property inheritance was the exclusion of females. 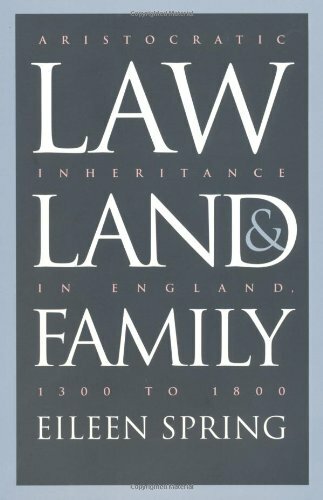 This exclusion was accomplished by a series of legal devices designed to nullify the common-law rules of inheritance under which—had they prevailed—40 percent of English land would have been inherited or held by women. This digital document is an article from Florida Bar Journal, published by Thomson Gale on September 1, 2004. The length of the article is 5101 words. The page length shown above is based on a typical 300-word page. The article is delivered in HTML format and is available in your Amazon.com Digital Locker immediately after purchase. You can view it with any web browser. This digital document is an article from Florida Bar Journal, published by Thomson Gale on September 1, 2005. The length of the article is 5162 words. The page length shown above is based on a typical 300-word page. The article is delivered in HTML format and is available in your Amazon.com Digital Locker immediately after purchase. You can view it with any web browser.